Straw drinking should be used for all thin liquids throughout the day. Begin with Straw #1 (seen to the left). What is the Straw Drinking Hierarchy? 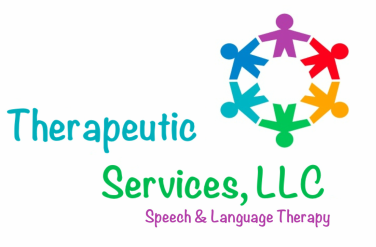 Therapeutic straw drinking should be incorporated into Nicholas' Program Plan because he has goals that include tongue and lip mobility, placement, position and strength. It addresses 8 levels of tongue grading (levels of tongue position). 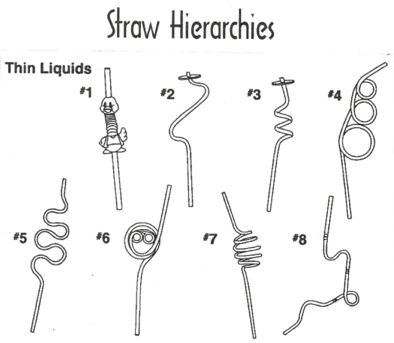 Below are the 8 straws used in the straw drinking hierarchy. Where Can I Buy the Required Straws? How and When Do I Use the Straws? As your therapist, I will walk you through all the stages and determine when it is appropriate for Nicholas to move on to the next state. Below I have provided some basic tips and written instructions for you to reference.